“Leis aims to revive the centuries’ old woodcraft tradition called ‘suha roba’, born in Slovenia amidst one of Europe’s most forested areas. 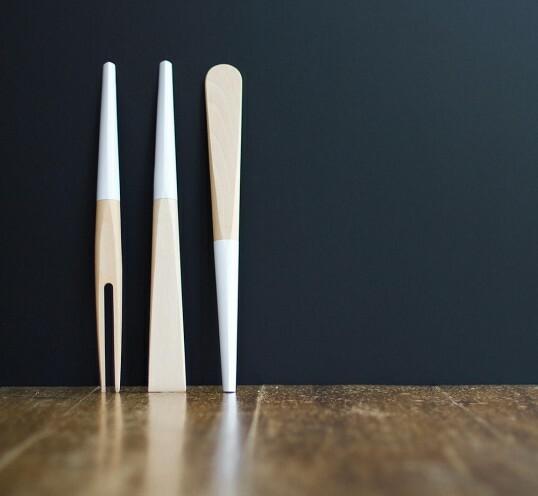 Combining contemporary design and long-established hand-crafting skills, the brand’s purpose is to manufacture appealing, user-friendly and well-designed products made strictly using locally sourced beech. 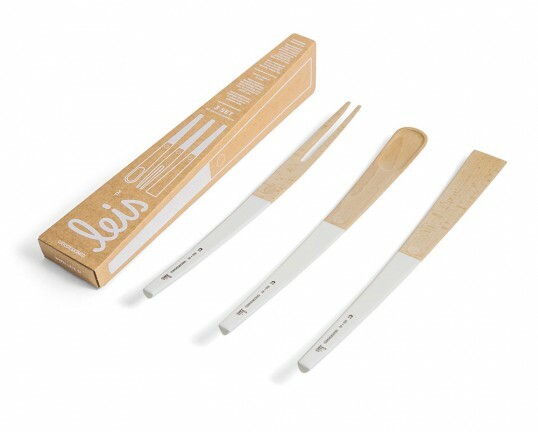 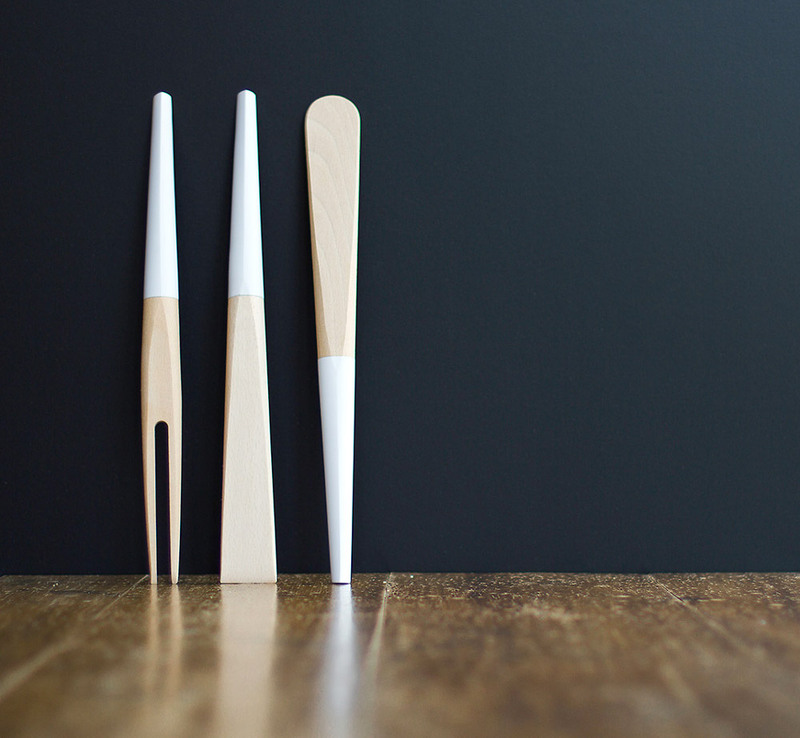 The first product is a three-piece kitchenware set consisting of a fork, spoon and spatula. 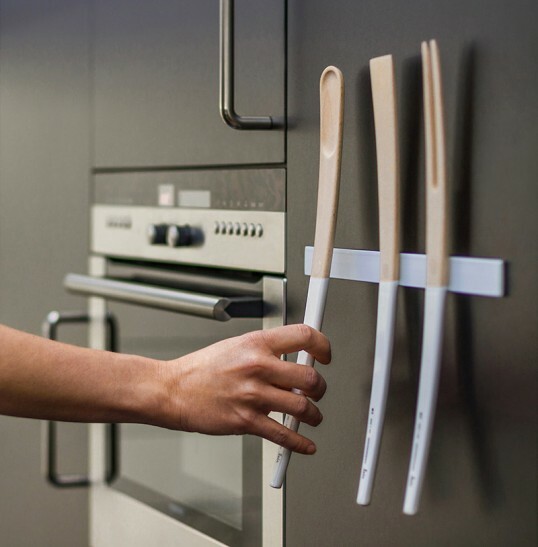 They feature an integrated magnet for easy storage, lifted ends to prevent smearing and a curved shape ensuring an easy and secure hold. Future products will include nature-friendly Christmas ornaments and office accessories.